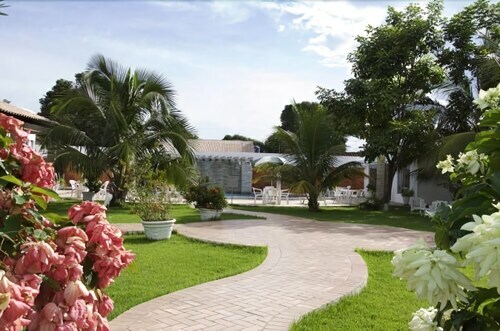 Located in Alvorada, this hotel is within 1 mi (2 km) of Pantanal Shopping and Massairo Okamura Park. Sesi Park and Our Lady of Rosary Church are also within 3 mi (5 km). Located in Lixeira, this hotel is within a 5-minute walk of Antonio Pires de Campos Park and Our Lady of Rosary Church. Bom Jesus de Cuiaba Church and Republic Square are also within 15 minutes. 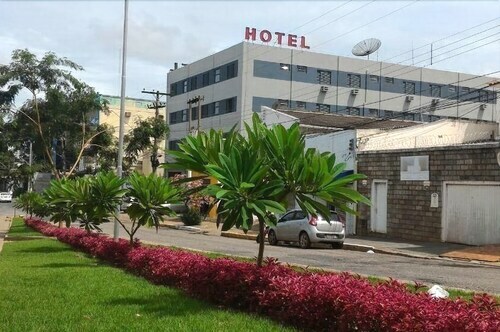 Situated near the airport, this hotel is within 1 mi (2 km) of Varzea Grande Shopping Mall and Nossa Senhora Do Carmo Church. Museu do Rio Cuiaba is 3 mi (4.8 km) away. Located in Bosque da Saúde, this hotel is within 1 mi (2 km) of Our Lady of Rosary Church, Pantanal Shopping, and Antonio Pires de Campos Park. Bom Jesus de Cuiaba Church and Republic Square are also within 2 mi (3 km). 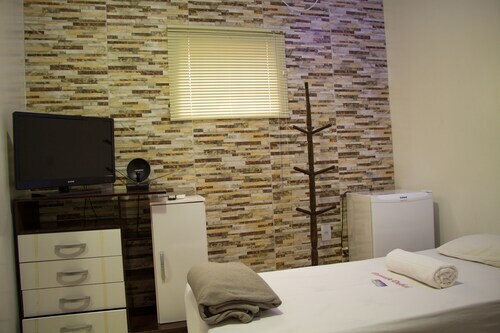 Located in Araés, this hotel is within a 10-minute walk of Our Lady of Rosary Church and Antonio Pires de Campos Park. Bom Jesus de Cuiaba Church and Republic Square are also within 15 minutes. 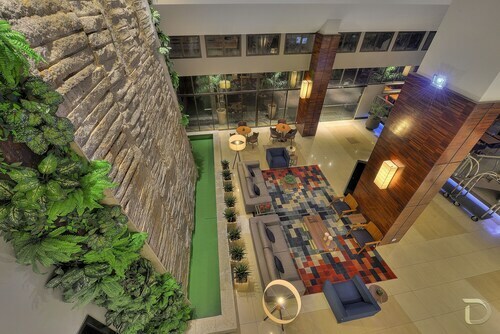 Located in Coxipó, this hotel is within 1 mi (2 km) of Rondon Museum and Shopping 3 Americas. Ze Bolo Flo Park and UFMT Zoo are also within 2 mi (3 km). 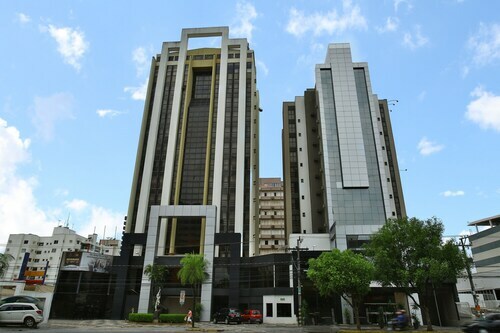 Located in Santa Rosa, this hotel is within 2 mi (3 km) of Arena Pantanal Stadium, Popular Square, and Santos Dumont Square. Eurico Gaspar Dutra Stadium and Morro da Caixa D'Agua Velha Museum are also within 2 mi (3 km). 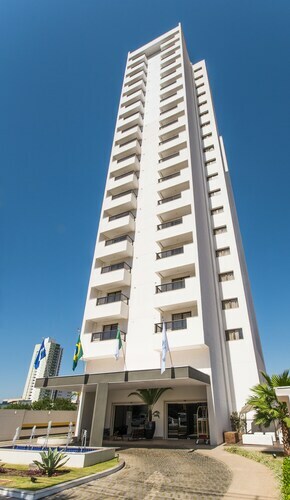 Located in Alvorada, this hotel is within 2 mi (3 km) of Our Lady of Rosary Church, Santos Dumont Square, and Antonio Pires de Campos Park. Cine Teatro Cuiaba and Bom Jesus de Cuiaba Church are also within 2 mi (3 km). Located in Alvorada, this pousada is within 2 mi (3 km) of Pantanal Shopping, Our Lady of Rosary Church, and Santos Dumont Square. Antonio Pires de Campos Park and Cine Teatro Cuiaba are also within 2 mi (3 km). 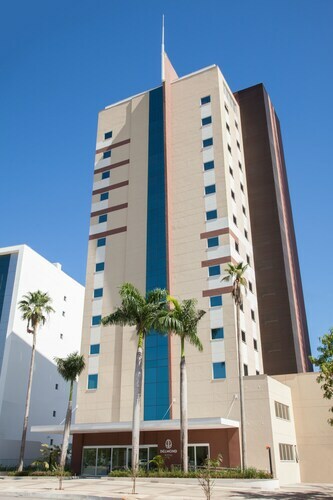 Located in Jardim das Américas, this hotel is within 1 mi (2 km) of Shopping 3 Americas and Rondon Museum. Antonio Pires de Campos Park and Our Lady of Rosary Church are also within 2 mi (3 km). Are you ready to make your way to Pantanal Shopping? You'll be glad you made the journey to its home in Cuiaba, approximately 540 miles (869 kilometers) outside of Brasilia, the national capital. 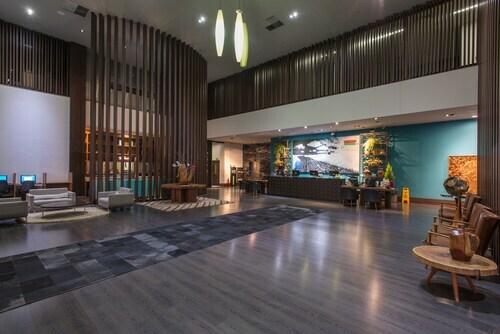 Even though there's a nice selection of 17 hotels within 2 miles (3 kilometers) of Pantanal Shopping, it'd be a good idea to book early so that you get the best possible deal. 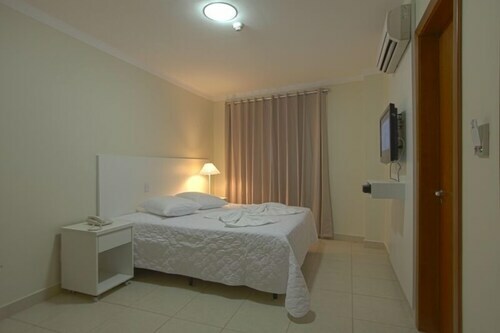 Many visitors enjoy the Abudi Hotel, 2 miles (3 kilometers) away, the Golden Tulip Cuiaba, 2 miles (3 kilometers) away, and the Hotel D'luca, 2 miles (3 kilometers) away. If expensive facilities aren't a priority, take a look at some of the bargain hotels that are in the area. If you're not sure where to start, consider the Hostel Safari and the Hostel Pantanal Backpacker - Adults Only. Experienced travelers who appreciate a little elegance often choose the Delmond Hotel, only 0.6 miles (1.0 kilometer) away. Breathe in the aroma of fresh brewed coffee or browse the menu for a pastry at Casa do Pão de Queijo. It's a short stroll from Pantanal Shopping. However, if your belly's trying to tell you something, you can go to Empada Brasil, also close-at-hand. Round out an excellent day with some drinks at Bar DonaGina, also very close by, and make sure you raise a glass to your colleagues back in the office. Sesi Park is a fantastic water experience. When the temperature rises, this is a wonderful location to bring your friends! You shouldn't have to leave the city to take in the fresh air and tranquil atmosphere of parkland spaces. Massairo Okamura Park awaits. Grasp a deeper sense of the spirit of the area by going to see Our Lady of Rosary Church, a local church. Give your kids a chance to burn off a bit of their seemingly limitless energy by running around and playing at Antonio Pires de Campos Park, a grassy getaway. Want to escape the noise and bustle of the city? Enjoy a serene stroll in Mother Bonifacia Park, a green urban sanctuary. How Much is a Hotel Room in Pantanal Shopping? 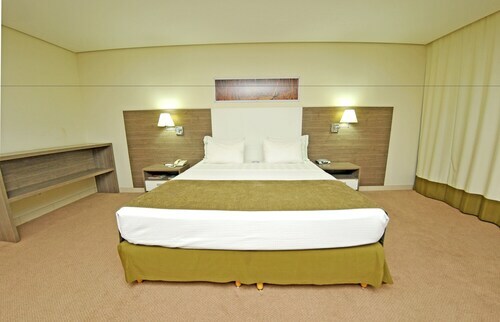 Hotels in Pantanal Shopping start at $37 per night. Prices and availability subject to change. Additional terms may apply.